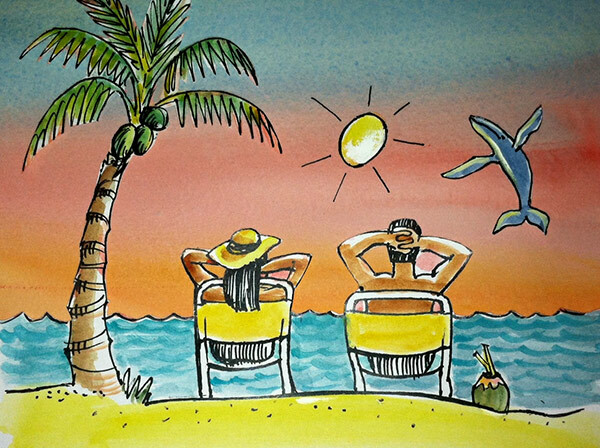 Watch the whales and sea turtles right in front of the Papakea Resort! 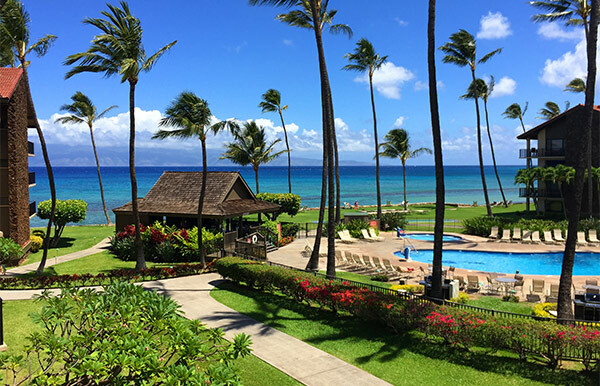 This resort offers fabulous sunsets and views of the islands of Molokai and Lanai. Let the waves lull you to sleep. 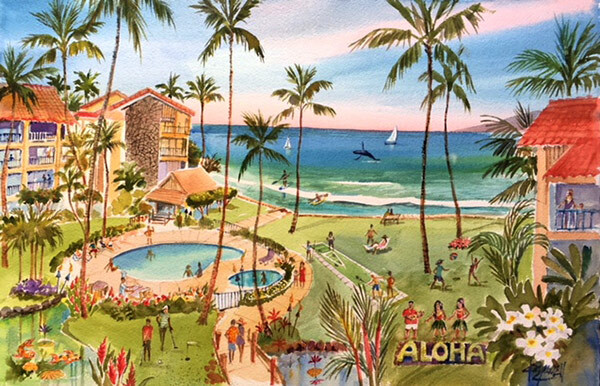 Papakea Resort is a peaceful Hawaiian Style low rise resort on 13 acres just a short walking distance to 3 mile long N. Ka’anapali Beach. 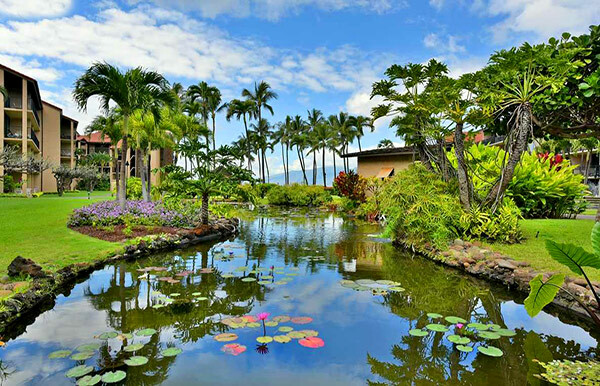 The lushly landscaped grounds are immaculately maintained and adorned with red ginger and red palms. At dusk every evening the magical twinkling tiki lights are lit and reflect on the Koi ponds through-out the property. 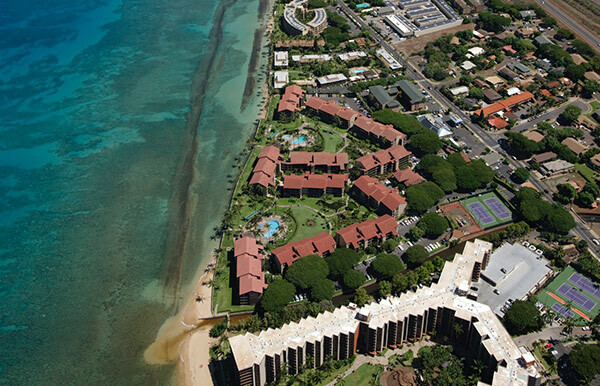 The Papakea Resort amenities include two ocean side swimming pools, two tennis courts, putting greens, 24-hour front desk service, poolside barbeques, two hot tubs and shuffle board court. Papakea is within walking distance to a shopping center, local farmers market, bars, coffee shops, fresh fish market, restaurants and sandy beaches.